At Hepyc they have may a powerful commitment to accessing a more rigorous demand, in fields such as the automotive and aeronautical industries, as well as to foster their sales in the thirty-odd foreign markets where they are present. Thus, they have drawn up an ambitious strategic plan that contemplates an investment of around 1,000,000 Euros to double their production capacity and also take another step forward in the Industry 4.0 challenge on permitting the automation of many of its processes. In fact, this step has required the intensive training of the company’s professionals, as well as the addition of new technicians to the workforce. The new machines will begin to arrive this very month and will start to operate in June, although officially they will not be 100% operational until September. 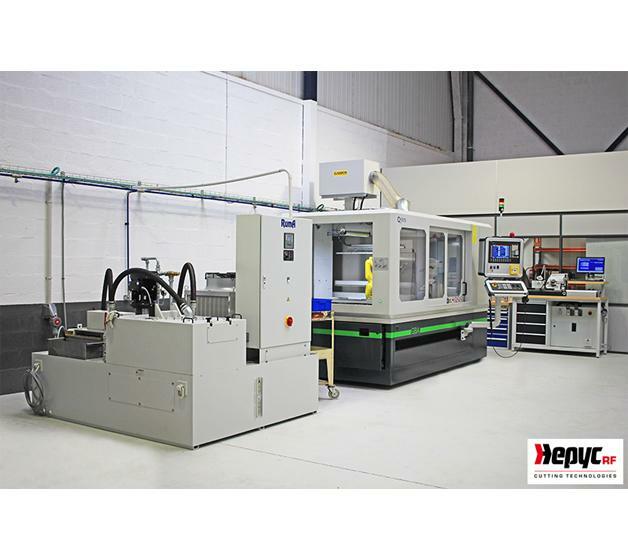 With this movement, Hepyc aims to foster its threading offer to access cutting-edge sectors such as the automotive, wind, aeronautical or machining industries. With respect to markets, with 85% of its sales concentrated in Spain, France and Portugal, the objective is not so much to access new countries but to increase the presence in the thirty-odd countries where they are already present, and which currently represent a quarter of Hepyc’s sales. Thus, Hepyc added new dealers in Asia in 2016 whilst this year, they will complete their alliances in Latin America and the Near East. The challenge is to grow in countries such as Iran, Thailand, Turkey or Malaysia, as well as in Colombia, Chile, Uruguay or Paraguay. The new equipment acquired will help foster the offer of the new in-house developed “Microfinish” threading technology. This is a final process which involves cleaning the cutting edge of the taps to make them smoother and permit easier, less aggressive threading. This technique represents an improvement in quality and increases the production yield by 27% with respect to a traditional tap without any real additional cost.